Want to guess what I did today? It involved a spoonful from 14 desserts made with Girl Scout cookies, cream cheese, chocolate, sugar, pudding and bunches of other stuff someone who wants to win a weight-loss contest shouldn’t eat. That’s right. 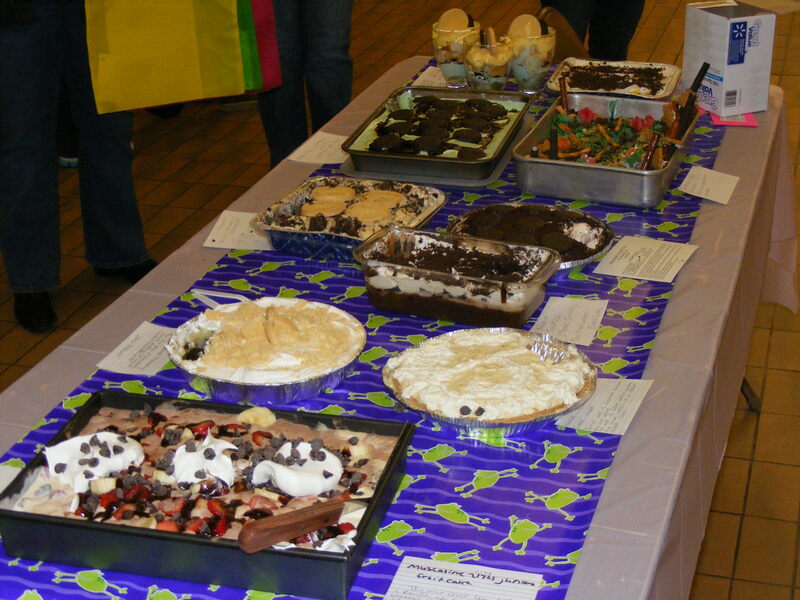 I helped judge a contest of desserts made by Girl Scouts who had to use Girl Scout cookies. The three desserts in the center of the table may have actually been made by Satan. They were sinfully good. On the bright side, I worked out for an hour at the gym before I helped judge this contest. All I have to say is I HAVE to start asking more questions when people call at work looking for volunteers. It is possible to have too much of a good thing.